Today, Cody and I are proud to continue the theme of the month of June: Adopt-A-Shelter Cat! 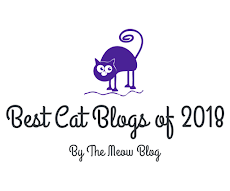 As probably nearly every one of you who reads this blog knows, the month of June is the PEAK of kitten season and shelters everywhere are bursting at the seams with adoptable cats! 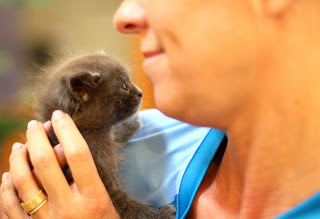 As part of its “Building Better Lives” program, Purina Cat Chow has created an Adoption Drive with a goal to help at least 2,500 cats at 50 shelter partners – one in every state – find forever homes during the month of June. Purina Cat Chow plans to donate $75,000 to its 50 shelter partners to specifically support cat adoptions if cat people nationwide share their cat adoption or rescue story using the hashtag #MyRescueStory. For every story shared, Purina Cat Chow will subsidize a cat adoption fee for a cat at one of its shelter partners up to $75,000. Purina Cat Chow will subsidize the adoption fees for at least 50 cats, a donation of $30 per cat, at each shelter partner. Each shelter partner will receive up to a $1,500 donation and be asked to put the donation towards offsetting adoption fees for at least 50 cats to help encourage more cat adoptions. Cody was not adopted directly from a shelter, but he was one of a litter of kitties that were rescued and lived in a foster home run by a local rescue group. Cody was blessed to have an amazing foster Mom, but not all kitties are as lucky as Cody was. When I adopted Cody in July of 2007, he was the first cat that I had ever "adopted" in the traditional sense. My Bobo was found outside and that is how he came into my life. Cody was adopted at a local adoption drive sponsored by Petco. 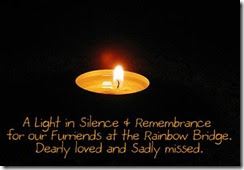 Adopting Cody a mere two weeks after my Angel Bobo crossed the Bridge was truly a special gift! I could NOT leave him that day. Long story short, (and you can read the post for more of the details), I struck up a conversation with a couple of women who were looking at him and falling in love with him. They had no money on them that day, so I PAID THEIR ADOPTION FEE. 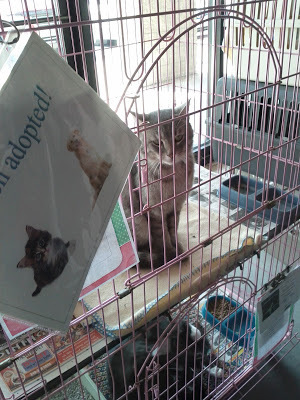 Seeing Tigre with his "Adopted" sign on his cage was one of the proudest and happiest moments of my life!!! While it killed me that I couldn't personally adopt "Tigre" for my home, it gave me an enormous feeling of joy to know that he would bring love to (and BE LOVED BY) a wonderful family! In that post I had written that I hadn't heard from the lovely women who adopted "Tigre" (who is now named "Smokey"), but that has changed. I have been sent a number of photos through the years and "Tigre" is now living a happy life and he is deeply loved!!!! As we all know....ADOPTION DRIVES HELP!!! In addition to Purina Cat Chow subsidizing the adoption costs for each shelter partner, Purina Cat Chow will also conduct a $25,000 shelter makeover at one of its partner animal welfare organizations to help improve the environment for cats awaiting a forever home. 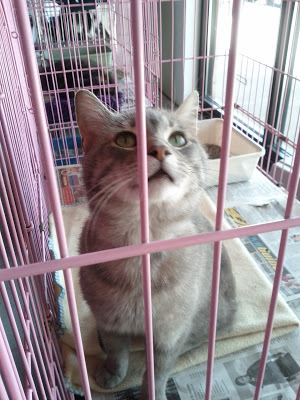 Purina Cat Chow will announce the shelter receiving the makeover in early June. 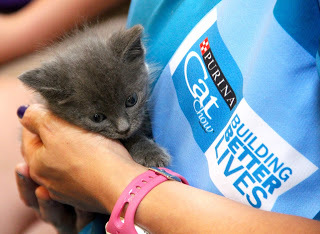 In total, Purina Cat Chow may donate up to $100,000 to its 50 shelter partners. Every adoption story is special and unique!!! AND HELP PURINA HELP CATS!! Please Share YOUR rescue story on Facebook or Twitter (feel free to film a QUICK video if you choose to! ), using the hashtag #MyRescueStory and YOU can help kitties like Cody, and YOUR cats, find their furever home!!! After you share YOUR rescue story be sure to visit www.catchow.com and read some wonderful stories posted there! My human remembers that post about Tigre/Smokey! That was an awesome story. I'm so glad Purina is supporting such a great cause! Carmine is the only cat I've adopted as an adult in the "traditional" sense, and he is the best mancat! I could not have asked for a better mancat if I had tried. Paws up for more adoptions for more cats! 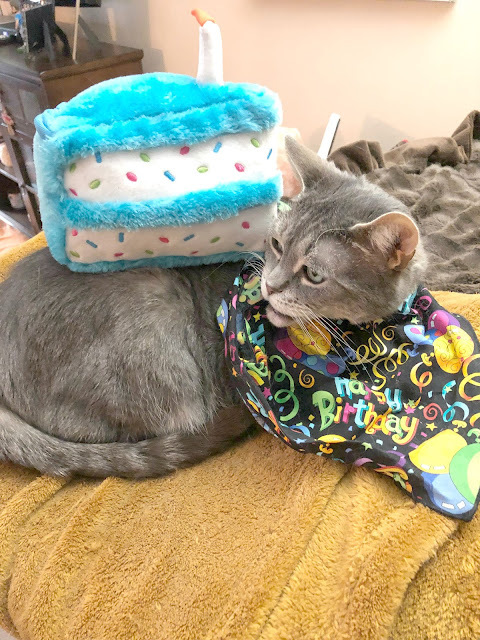 We remember the post about Tigre/Smokey, and it make our whiskers smile to think that lots of other cats like him are finding forever homes this month. I actually have a post up today about Adopt A Shelter Cat Month. I'll post Rosie's rescue story next week or possibly one of our other cats from the past. Can I do this any time this month or is there a specific date it has to be posted by? I remember that post. That one made me smile. Love that story. Great cause! Well done Purina! Oh yea, we remember sweet Tigre too. He will always be thankful for the happy you gave him. 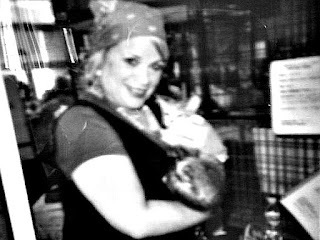 It was so nice of you to help Tigre find a home! It would be hard to part with a cutie like that. I'm glad that you brought Cody into your life too. He's a great kitty and I love seeing his photos and stories around the internet. Big thank you to Purina for doing so much to help kitties! THAT was one of my favorite posts! Mes wishes they did something like that in Canada! Awww, what a wonderful story. I loved this. All our babies need a forever home. That was very kind of you to pay the adoption fee, I wish there were more people like you in the world. 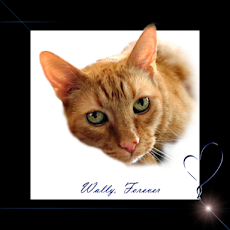 I have posted several of my cats' rescue stories on Twitter #Myrescue story, I am trying to get all 15 on there. Thank you!! I had struck up a conversation with them and could tell they loved Tigre. People would have to be careful if they do the same, you don't want the wrong people to get a cat. I just sensed that they were good people and they sure are! Hoping you get all 15 on there! Good luck!! What a wonderful thing you did. This is a great way to raise adoption awareness and help waive those adoption fees! We love the story of Tigre. Hope he has a great furever home. Wow, how lovely that you played a part in Tigre/Smokey's rescue story! Minko was not actually a rescue kitty, but he was adopted (bought, to tell the truth...) out of a furry bad so called den...and we sometimes think meowmy should have taken all of the 5 kittens, and reported the lady...well, we nevfur heard of her trying to sell any more kittens...because then meowmy would have called in the authorities. Hope they raise lots of $$ to help the needy kittens and cats and get adopted to great homes! Those are two fantastic adoption stories and we hope this raises a lot of $$$ for homeless kitties. Aaaaaaw Dat is so pawsum. 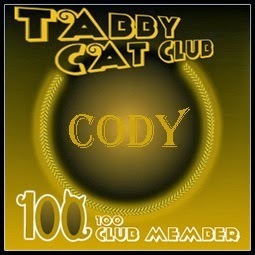 Well da whole fing is, but specially da pawrt 'bout Cody and Tigre. Weez so glad they boff found furever homes full of luv. And weez purray dat lots of kitties get da same. We love reading about all these pawsome adoption stories. We'll get the human write one up for us on IG. every adoption is wonderful! Just ask our Lucy! We will be participating in this for sure! What a great way to promote adoption. Thank you for sharing!!! 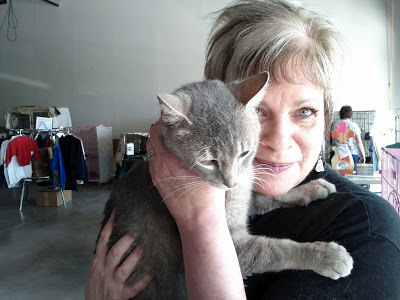 Precious adoption stories, especially your helping Tigre! You've reminded me of a litter i bottle raised for a lady who had 5 children, and someone abandoned a litter of 7 on her property. Her firefighter husband had died in the line of duty, and the children wanted to adopt one of the babies. After i bottle raised them, i paid the adoption fee so they could have the one they wanted. It's always a great thing when animals find a good home. I LOVE LOVE LOVE that story!! You sooooooooo totally rock!!! Sending you HUGE virtual ((((hugs))) and love! 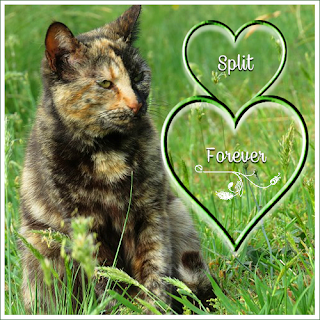 We love Tigre's adoption story. Miss Caren, that was such a sweet thing for you to do. Tigre's adoption story is fantastic. It was a win-win-win for all involved. Adoption drives can make a huge difference and we love Tigre's adoption story. A sweet happy ending brings a tear to our eyes.